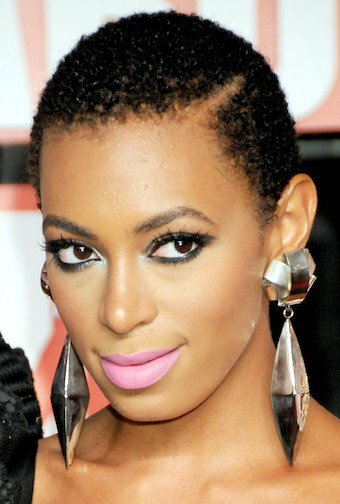 One concern that many of us natural girls run into when considering the big chop is the TWA (teeny weeny afro) phase. But dont you worry your curly little head any more. 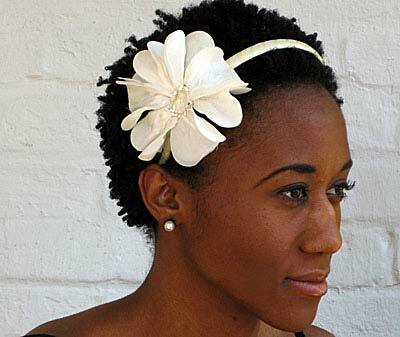 Here are 5 ways to dress up that twa and look fabulous every step of the way. 2. Dont be scared to experiment- Depending on the length of your twa, experimenting with twists, braids, twist-outs, and braid-outs will definitely add some flare to your cropped do. I found that twist-outs work best for me. I twist my hair in sections at night and take it out the next day. This shows the length of my hair better and lasts for at least 2 days. Twist-outs also helps hold in moisture, which seems to be a bit challenging for some of us natural chicks. 3. Jewelry- I have always found that earrings brighten up my face. Now that my hair is short, earrings have become a necessity. Earrings are another way to express your creativity and style. There is a common misconception that us natural hair ladies have to wear gigantic or flamboyant earrings to make a statement. While these earrings can definitely be a conversation starter at very least like Solange’s; simple but cute studs or hoops will do just fine. 4. Make-up- Since your hair is short, make-up is going to really pop. So pull out that fancy glittery eye shadow that you save for special occasions. When rocking a twa, everyday is a special occasion. Line your eyelids with a dramatic cat eye. Dress up your eye lashes with some blue mascara. Try that red lipstick that you saw Rihanna wearing in her last music video. 5. C-O-N-F-I-D-E-N-C-E!- This is very important. Once you cut off your relaxed hair, the first accessory that you will need before you step foot out of the salon is confidence. For some of us, it comes naturally. No matter what length our hair is, some of us just ooze the confidence needed to rock it. Then there are some of us natural chicks that need some time to get used to our new do. If your confidence comes instantly, than great! Your twa is already looking great with its own personal flare. If you’re not confident in your twa yet, then give it time and you will be. Just remember one thing, no one is going to think your natural twa is as fabulous as it really is unless you do. You have to love it before anyone else does.